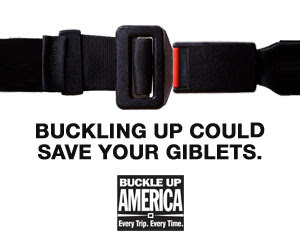 Thanksgiving can be a dangerous time for motorists, especially unbelted ones. No matter when you're traveling, make sure the only belt unbuckled is at your Thanksgiving dinner table and not in your vehicle. It's your best defense in a crash. Buckle Up to Arrive Alive!